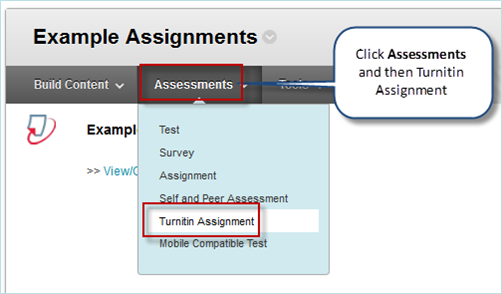 Go to your module a content area (e.g. Assessments). Make sure ‘Edit Mode’ is ON. Enter any specific instructions, for example,any specifications for the name of the file. 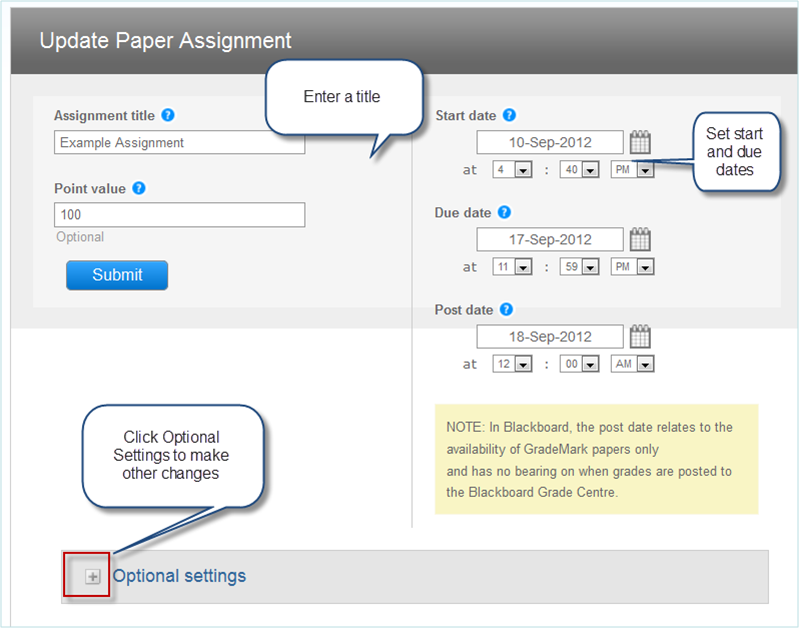 If marking anonymously, you may wish to tell students to include their student id in the title. The Post Date is relevant if marking online You can use his as the date to release the score to students. 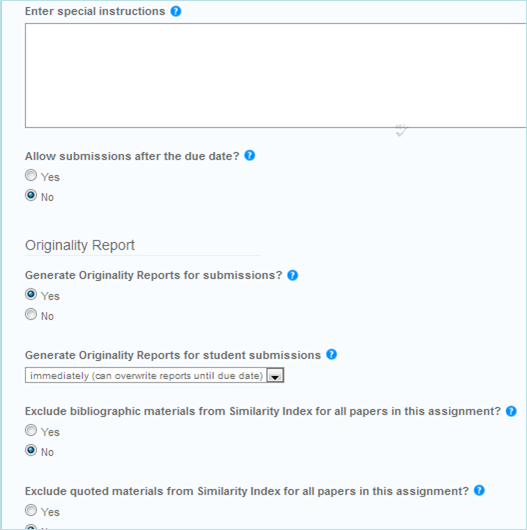 Students maintain their ownership of their work which is submitted to Turnitin. This work is held securely and is only available to staff with access to the module.